This mod allows you to customize the vanilla mobs settings. # Add Mob Drops to the Mob "Bat"
1 // The Min amount of spawned mobs per spawned time that have the possibility to spawn. 10 // Makes the mob have 10 spawn probability for each spawn time. I am just trying to radically increase the mob spawns and I have used the "INCREASEMOBS" mod but I think that yours will be more stable and less laggy since it actually is using an established library. Thank You. Am I doing something wrong? # Add Mob Drops to the Mob "witherskeleton"
# Add Mob Drops to the Mob "Blaze"
well, currently there is a global setting for if the mob is killed by a player, but that might change soon. I'll probably add a section to list what type of death it will need so each individual drop will drop. 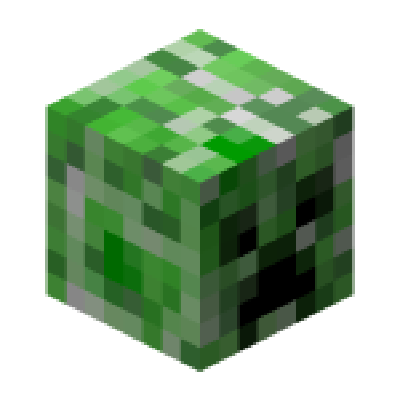 Does this mod include the ability to customize things like stopping a creeper, ghast, & enderman from messing with the environment without stopping villagers from farming all while not enabling cheats? & will this only be customizable by the owner of a server? It doesn't yet have such abilities to customize the mobs that much. And yes if mod is on the server and client it will work only with Server's Configurations. are you able to add more then 1 drop to each mob? Chance of spawn, biome of spawn, proximity to player on spawn (min and max), NbtTags on spawn, types of spawn(I mean diferent spawns for example: one zombie that spawn in a desert whit a Nbt only near to the player if is possible, another zombie whit anoter nbt in the end and a zombie with normal spawn), dimension restriction spawn and light level restriction spawn. I want to make an monster apoclalypse in a modded survival in the night, and in 1.8 and newer versions isn´t any mod of custom mob spawn, ANY.